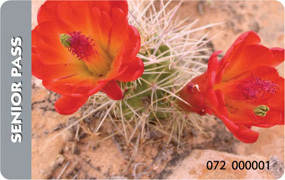 SUE'S RIGHT OF PASSAGE: AN NPS SENIOR PASS! 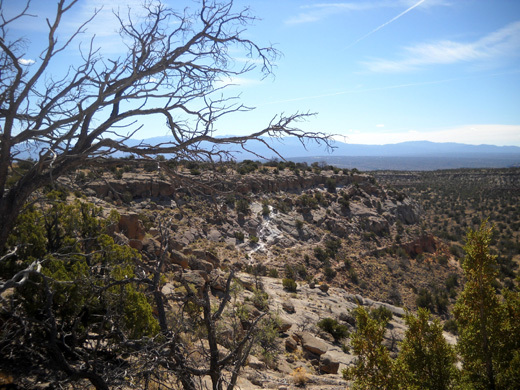 "A pass is your ticket to more than 2,000 federal recreation sites. 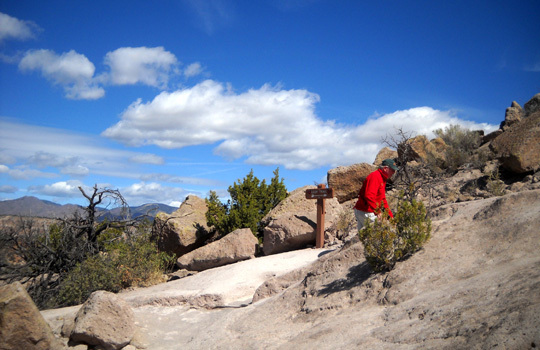 Each pass covers entrance fees at national parks and national wildlife refuges as well as standard amenity fees at national forests and grasslands, and at lands managed by the Bureau of Land Management and Bureau of Reclamation. A pass covers entrance and standard amenity fees for a driver and all passengers in a personal vehicle at per vehicle fee areas (or up to four adults at sites that charge per person). Children age 15 or under are admitted free." 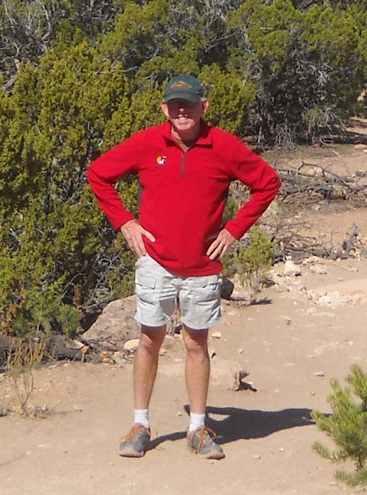 ~ U.S. National Park Service website for "America the Beautiful"
To me, the best thing about turning 62 this spring is being eligible for one of those inexpensive $10-for-my-lifetime National Park Service Senior Passes (link above). Forget about also being eligible for Social Security; that only makes me feel old. Besides, I want to hold out as long as possible before I start collecting it. But an NPS Senior Pass? That's my ticket to fun times at little cost! Let me count the ways: free entry the rest of my life to all national parks and monuments that charge a fee (and to everyone in my vehicle); half-price camping fees at national park campgrounds and many National Forest Service campgrounds; and other discounts. Check the website for details. Compare that to the $80 annual fee for passes if you're under age 62. It's a steal. That's why I've been so anxious to get a senior pass before the deal vanishes or becomes less attractive. I almost learned the hard way last fall that both Jim and I need our own passes; when I went outside Rocky Mountain NP by myself to browse the visitor center, even with Jim's pass and driver's license I had trouble getting back in for free. Why the heck the visitor center was outside the east entrance gate is another issue . . .
Hopefully, if the Senior Pass rules change in the future because of government funding problems, all the Olde Pharts like Jim and me who already have one of these passes will be grandfathered and protected from any tinkering with the program. Worst case, I'll soon have recouped that $10 fee. Today was the first good opportunity since my landmark birth date for me to buy one of the passes. 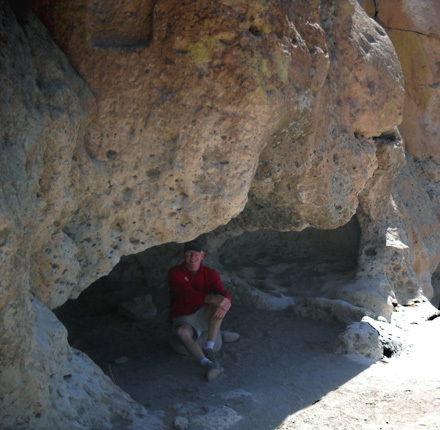 We are camped only about 15 miles from the entrance to Bandelier National Monument, shown above. 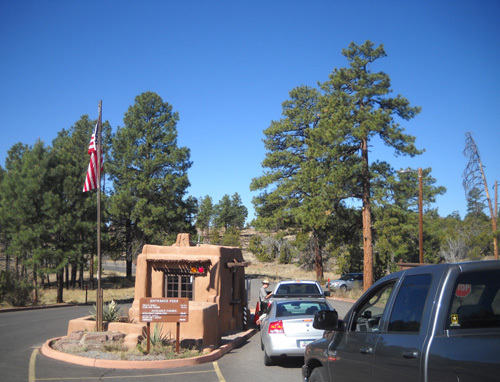 Since not all national monuments sell the passes (only ones that charge an entry fee) I called first to be sure Bandelier does. 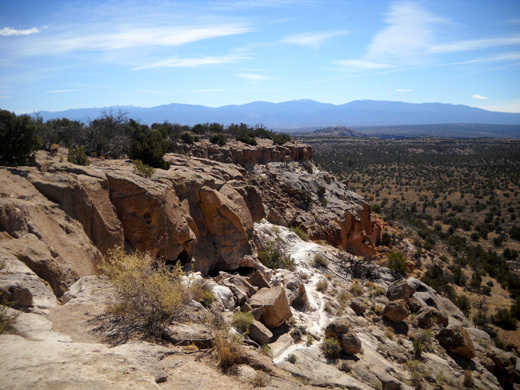 We drove the scenic NM 501-4-502 loop south of Los Alamos that surrounds all or most of the LANL property, passes the entrances to Bandelier and its sister unit, Tsankawi, and touches the western side of the upscale little town of White Rock. 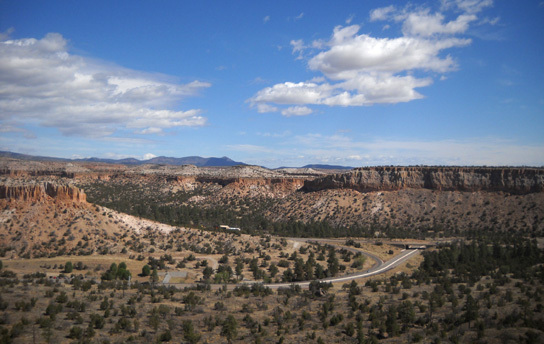 An alternate route that bisects the loop, East Jemez Road, is also scenic. 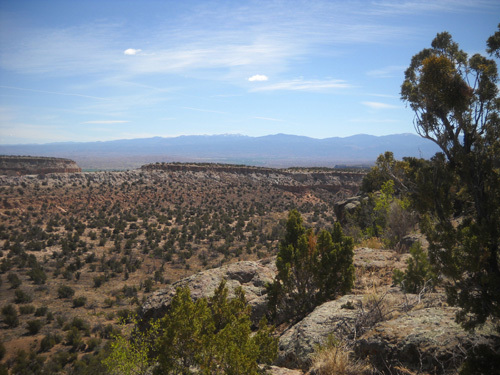 We began on the eastern side of Los Alamos at our campground on NM 502 and drove west through town. On the southwestern side of town 502 morphs briefly into NM 501. 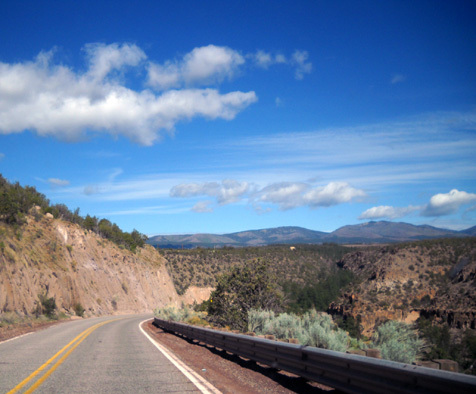 Where 501 dead-ends a few miles later at NM 4, we turned left (east) to reach Bandelier National Monument (a right turn takes you past the Valles Caldera National Preserve and the town of Jemez Springs, another very scenic route). 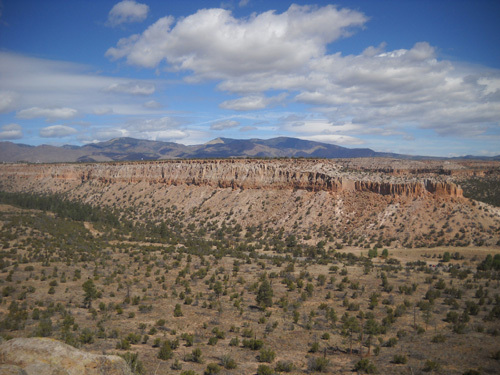 Our recreational goal today was not to hike in Bandelier because there was a good chance of thunderstorms in the afternoon. 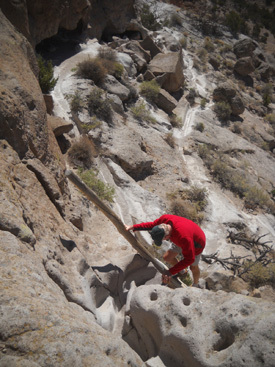 We need a day with no or less chance of rain to explore as much as we want of Bandelier. 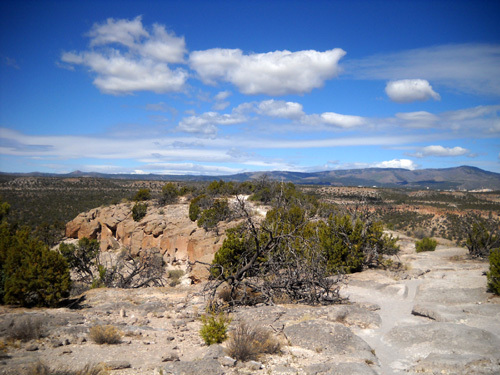 We only stopped long enough at the entrance station to get my new pass, then headed around the eastern side of the driving loop another twelve miles to Tsankawi, where we did a shorter hike. 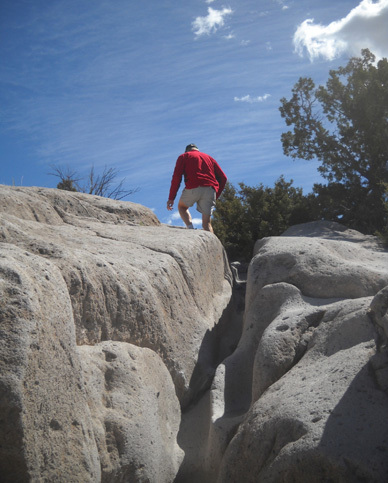 This is my third or fourth time walking the 1�-mile loop around the Tsankawi (sank-ah-WEE) cultural site and Jim's second or third time (I hiked it alone once). I love this place as much for its beauty as its archeological and cultural significance. It's magical to me. I'm just sorry the trail loop is so short. Maybe that's why I like to go slowly here and savor everything I see. That makes it last longer! 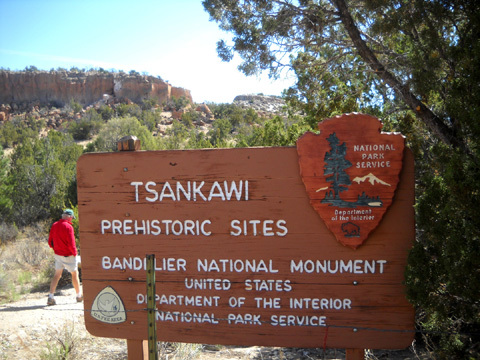 In the 1400s, Tsankawi was home to the Ancestral Tewa Pueblo people. 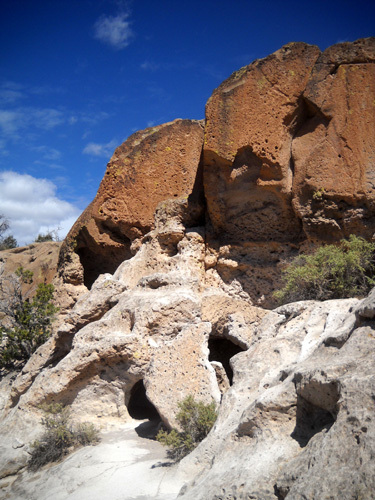 They built their dwellings in the relatively soft volcanic "tuff" rocks and with adobe "mud." 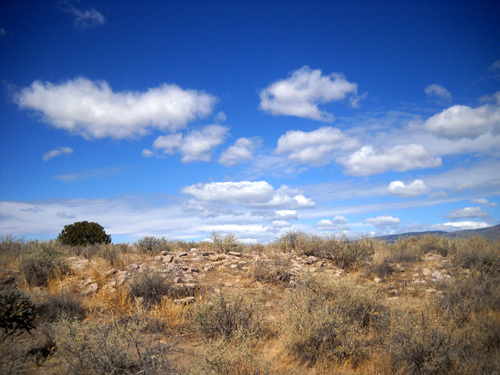 Today their descendents live in nearby San Ildefonso Pueblo. 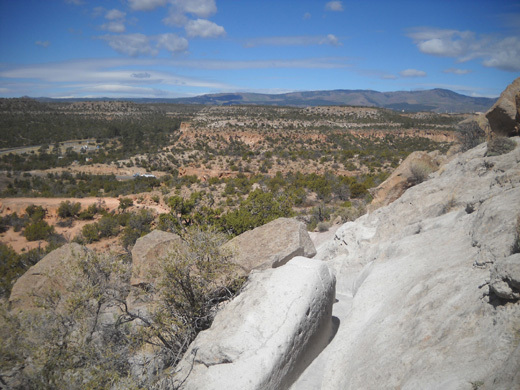 I've included photos and lots of historical information about the site previously in this journal, so this time I'll mostly showcase photos I took during our hike today. Because of the number of photos I'll divide this entry into three pages for faster downloading. You may wonder why Cody isn't in any of the pictures. Dogs aren't allowed on the trail here, or in most national parks and monuments. That's OK. He would have had trouble getting up and down the ladders! Despite our geriatric knees, Jim and I did just fine on them; they're fun. 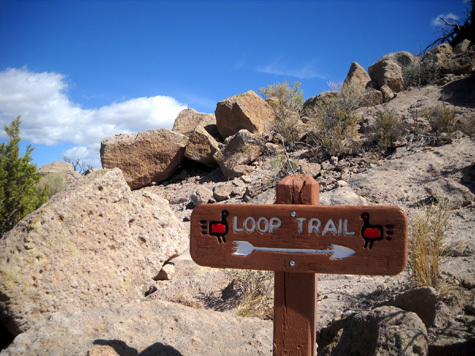 of the loop; there are trail alternatives for two of the ladders. 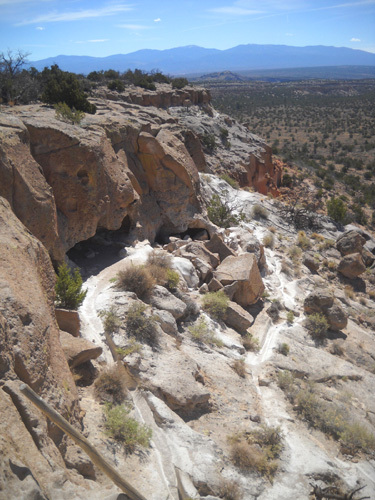 This site features lots of deep, narrow chutes (below) that have been worn down through the centuries by people walking over the soft volcanic tuff. There are numerous steps that have been created the same way. You'll see them in some of the photos on the three pages in this series. 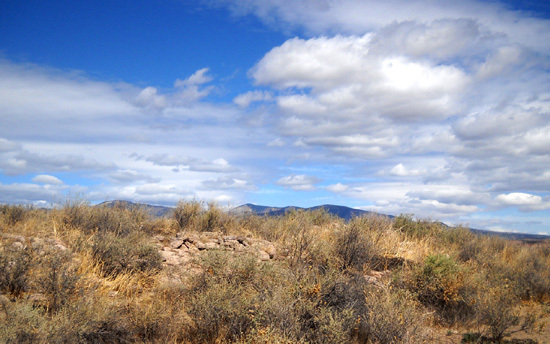 This view to the west shows LANL property and the Jemez Mountain Range. 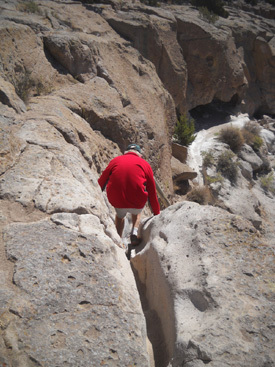 Folks who don't want to climb up through that narrow chute can choose to climb a nearby ladder instead. Either way is fun. The mesa-top village used to contain about 275 ground floor rooms and had additional rooms on a second floor. Very little excavation has been done here. Most of the rooms are buried under layers of soil, roots, and rocks. 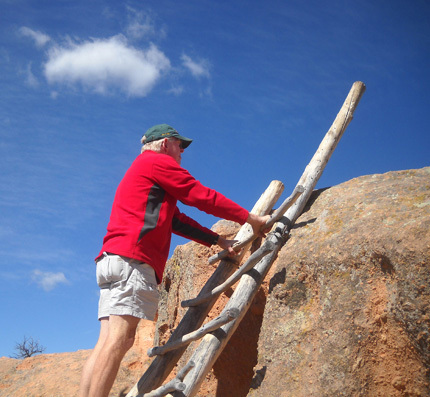 The next part is fun -- climbing down through one of those narrow rock chutes to reach the top of a 15-foot ladder to the lower level of trail. Then we turned around and hiked west on the cliff-side path back to our starting point. My favorite part of the site is coming up!